I get it. It’s spring, the beach season is close and you want to look your best in summer. So now it’s the perfect time to start doing these exercises for perfect legs. If you’re dreaming about shorts and summer skirts, but you are not fully satisfied with the appearance of your legs, I got the best solution for you. I invite you to try some very simple exercises for perfect legs, that do not require any special equipment. All you need is a mat, a chair with back support and ten free minutes. Also, they’re easy, simple and really effective. So let’s get started! Stand straight with your feet at a larger distance than that between the shoulders, orient your toes outward and put your hands on the hips. Bend your knees until your thighs are parallel to the ground. Return to the initial position and repeat for 30 seconds. Stay straight with your feet stuck and your toes outward. On your right side, place a chair with back support. Place your right hand on the support, then lift yourself up gently on your toes and stay in this position for a couple of seconds. Return to start position and repeat for 30 seconds. 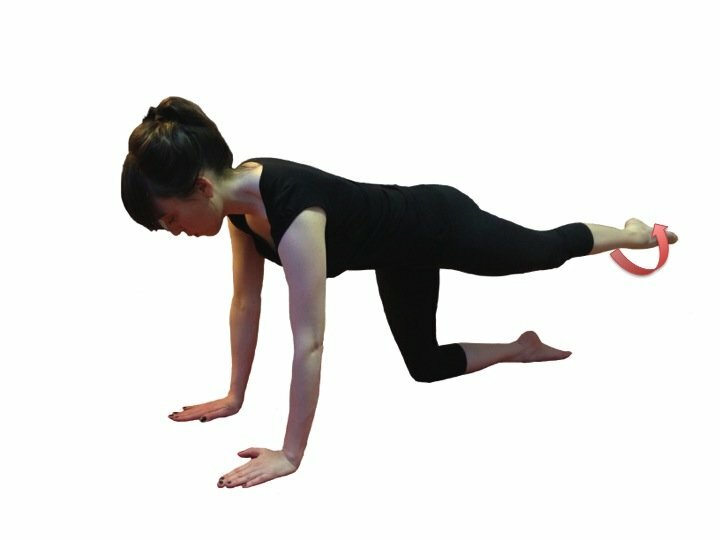 Lie on the floor on your left side, leaning on your left elbow and supporting your head with your hand. Stretch your right leg forward. Tighten your abs and lift your right leg without bending the knee. Lay your leg down gently but don’t let it touch the other leg. Repeat the movement for 30 seconds with each leg. Stand straight with legs apart, toes facing outside, and hold a stretched rope or belt behind the shoulders. 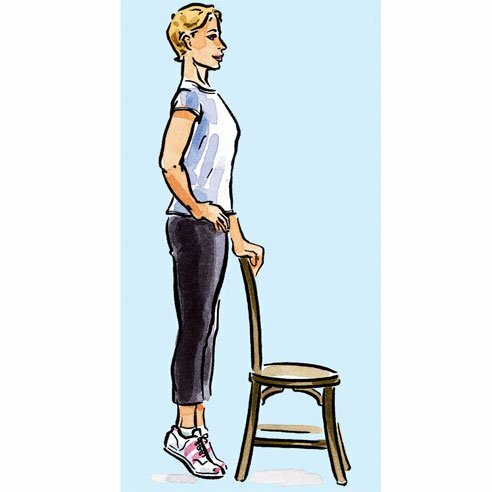 Make a big step forward with your right leg and bend your knees until the right thigh is parallel to the floor. At the same time, raise the rope overhead. Pulse for about five seconds, then return to starting position. Then switch legs; step forward with your left leg and continue to alternate legs for one minute. Sit on all fours. Stretch your right leg until is parallel to the floor. Then tighten your abs and draw small circles in the air with your suspended feet. Do it for 30 seconds, then switch legs and repeat the process for another 30 seconds. You’ve done it! It only takes you four minutes to finish these awesome exercises for perfect legs. But if you have more free time, you should perform this lower body workout at least one more time. Do you want the perfect legs? Start doing these exercises today! And if you want more, here are other great leg exercises. As you can see, the exercises are quite simple, but effective at the same time! You can perform them anytime, anywhere, in only a few minutes. These exercises for perfect legs will help you get the dream body more easily than you have imagined!